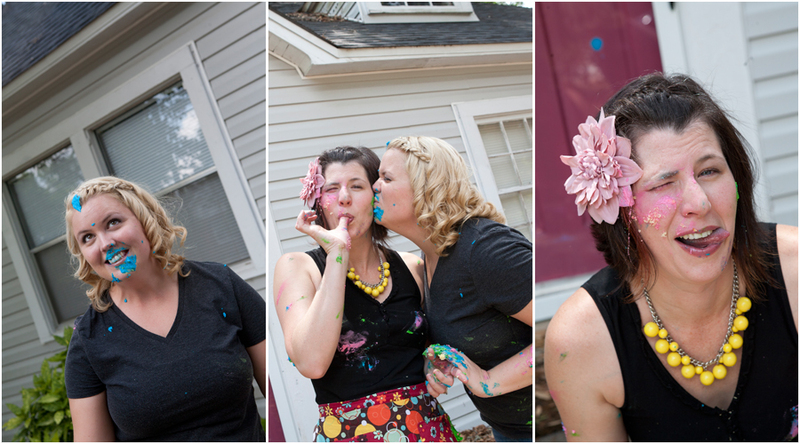 New Custom Cake Business in Crestview, FL! Well, I just thought she was being sweet and well….crazy. But a few months ago the desire to have a space for my cakes outside of my home was getting really strong, and I began to entertain the idea of sharing a space with Sheena, and I found that idea to be very exciting. So I asked my husband to ask a realtor friend of his to look for a place that would work for us. And this is where God stepped in, and started me on the ride of a lifetime. Because come on, what are the odds that there would be a place in Crestview, preferably on the north end of town, that had a commercial kitchen, a large room suitable for a studio, and an extra room for meeting with clients, for RENT? Oh and I was praying for a specific price range too! Two hours, that’s right HOURS, later David got an email of a listing for a small 5 room house that had been used for a catering business a couple of years ago, and it had been sitting on the market for 6 months. When we saw that house, it was perfect! And from there God just began to answer every prayer we sent up with a resounding YES! Last week we signed our lease and picked up our keys! And our lease officially begins June 1st! 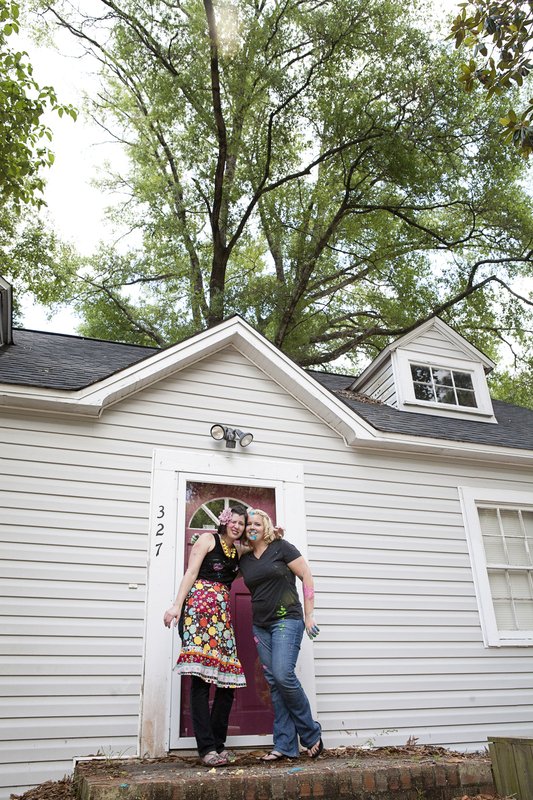 We will have our 2 separate businesses residing in our cute little “cake studio” at 327 Hickory Ave. Here in good, old Crestview, FL. It’s not an eat in bakery. It’s custom cake orders by appointment only (cupcakes, wedding cakes, bridal shower cakes, baby showers, birthday cakes, special occasion cakes) and I’m hoping that we will be opening officially by the end of the month! Yay! Now many of you may be wondering why all the secrecy and cryptic messages over the last couple of weeks. Well, first because of the “cake shed” incident! 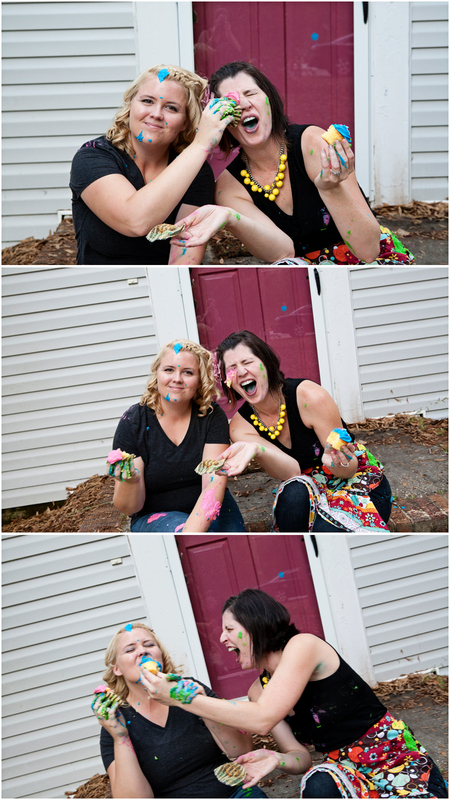 And second because my crazy creative friend Sheena couldn’t see why we would want to just blab our big surprise. Oh no! She likes to do things with style! 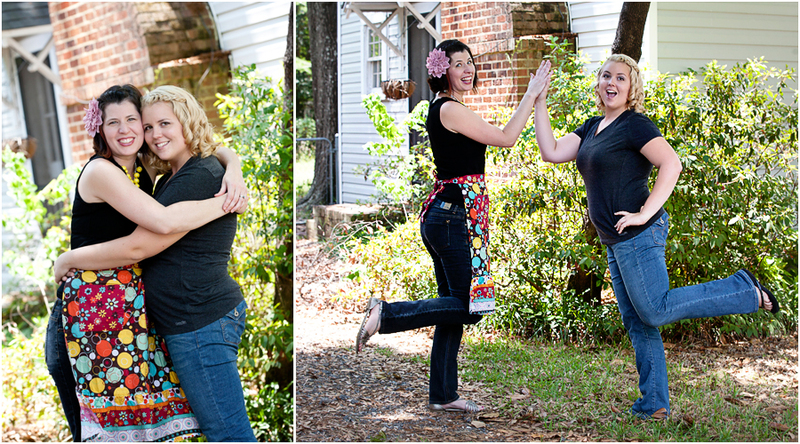 So to commemorate our future together and friends and business roomies we did a photo shoot, and well….I’ll just let the pictures speak for themselves! But things begin to get a little out of hand! We kiss and make up after our epic battle! These new businesses will be serving the communities of Baker, Crestview, Defuniak Springs, Destin, Ft. Walton Beach, Laurel Hill, Mary Esther, Milton, Navarre, Niceville, Pace, Panama City Beach, Pensacola, Shalimar, Valparaiso & surrounding areas.